Every year on the third Sunday of June we celebrate Father's Day, on a day dedicated to honor and recognize dad's hard work and love for his children. Families gather to give dad presents and cards, sharing his favorite food at Fathers day dinner table. Children make Father's Day crafts at school, teenagers look for inexpensive presents dad likes, as his favorite tea brand, chocolates or cookies; and everyone else gets the best way telling dad how much-loved he is. Thinking of Scottish, Irish and British descendants dads, we have prepared a list of meals we think dad will love to have. Make dad's morning a delightful time with an authentic Full Scottish breakfast served at bed: Beef sausage links, black pudding, fried eggs, fried tomatoes, toasted potato scones and HP sauce. June's weather is usually nice for outdoor activities. Surprise dad with pork pies and Irish mustard for lunch, while he enjoys a cold beer in the backyard. A tradition from Scotland cuisine, Scotch eggs can be a tasty appetizer for dinner. Serve Scotch eggs sprinkled with Parmesan cheese and accompany with pickles. Baked or grilled pork bangers with gravy over mashed potatoes is a traditional British dish dad will delight at dinner time. The dish is also known as Sausage and Mash when made with pork or beef sausage links. Shortbread made of flour, sugar, and butter with a unique taste from its dedicated baking process. 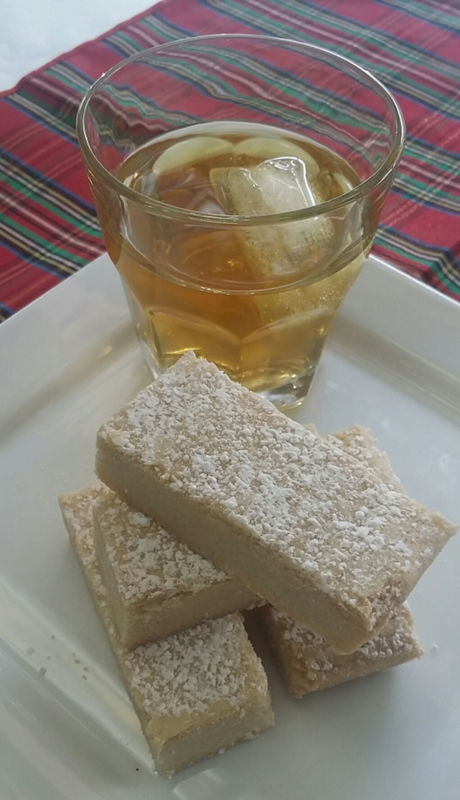 Shortbread is present in most celebrations where the Scots are involved, and Father's day is the perfect occasion to surprise dad matching his favorite whiskey with a piece of shortbread at after dinner drink time. Of course, you can add some other dishes, desserts, and drinks to assure your Father's day celebration a total success and a day dad will want to repeat.